Pridefully represent your products with these hang tags for clothing, jewelry and more. These tags are offset printed in vivid color and come in a variety of sizes and papers. Hole punching is FREE and you may choose placement near the top left, center or right of the tag. These hang tags are eco-friendly, using soy-base inks which emit less volatile organic compounds (VOC) during our green printing process. Pricing will vary based on order method, paper type, turnaround time, backside printing, etc. 4" x 3.25" Die Scored to 2" x 3.25"
4" x 4" Die Scored to 2" x 4"
Thick paper with high-shine ultraviolet coating. Premium bright white stock with no coating. 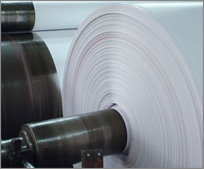 Our thickest paper with eggshell matte or optional UV gloss coating. 40% pre- & post-consumer recycled paper with matte finish. +3 Additional Business Days for Recycled & 16pt Matte Paper and/or Rounded Corners.